(Reach Records; Atlanta, GA; February 21, 2018) – Reach Records rapper Tedashii and the world’s largest cleft charity, Smile Train, are joining forces to launch the social media #SmileTrainChallenge. The campaign will bring awareness of the issues faced by children around the world living with untreated clefts and help raise funds to transform their lives by giving them the power of a forever smile and healthy lives through cleft repair surgery and comprehensive cleft care. “Smile,” the latest single from the charity’s newest Goodwill Ambassador inspired the #SmileTrainChallenge. It’s a song about not giving up, but rather, rising up and exposing the beauty of individual and collective victories each day. The track falls under the new ethos Tedashii has adopted entitled Never Fold—a renewed creative vision about celebrating life in the midst of adversity. “We are grateful for Tedashii’s support and efforts to help children with untreated clefts. His kind heart and caring spirit make him the perfect fit for our organization,” said Susannah Schaefer, CEO of Smile Train. Through the #SmileTrainChallenge cross-platform social media campaign, Tedashii fans will learn about Smile Train’s work. The two partners will amplify the awareness and giving message through the release of a music video that features Tedashii’s live performance of “Smile” and the international efforts of Smile Train. To learn more about Smile Train's work and to make a donation, visit smiletrain.org/Tedashii. Follow @Tedashii and find out more about the #SmileTrainChallenge on Tedashii.com, Twitter, Facebook, and Instagram. Stream/Purchase “Smile”: http://smarturl.it/tedashiismile. Follow @SmileTrain on Twitter, Instagram, and like them on Facebook. Tedashii has been separating himself from the pack for the better part of a decade. With a slew of revered studio albums and EP’s to his name—including the masterful Below Paradise which debuted at No. 17 on the Billboard 200 albums chart—the Texas-born and bred rapper has remained a force. 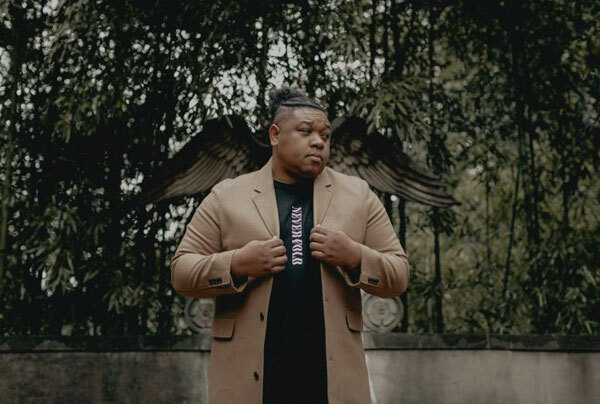 Known for his exuberant delivery on the mic and robust stature, Tedashii has graced the stages of the GMA Dove Awards, KLOVE Awards and performed on the top-selling Winter Jam Spectacular Tour. His hit track “Dum Dum” also appeared on the Fox TV Series So You Think You Can Dance. Smile Train provides free cleft surgery and comprehensive cleft care to children in developing countries. Through training local doctors and empowering partner hospitals around the world, we advance a sustainable solution and scalable model to treat clefts, drastically improving children’s lives, including their ability to eat, breathe, and speak over time. To learn more about how Smile Train's sustainable approach means donations have both an immediate and long-term impact, please visit smiletrain.org. Reach Records is an Atlanta-based independent record label founded in 2003 and co-owned by Ben Washer and two-time GRAMMY Award winning hip-hop artist Lecrae Moore. The label is home to recording artists including 1K Phew, Aha Gazelle, Andy Mineo, GAWVI, KB, Lecrae, Tedashii and Trip Lee. Since its beginnings as a startup to selling over 2.8 million albums, Reach’s purpose remains the same: To change the way people see the world. For more information on Reach Records, visit www.reachrecords.com.